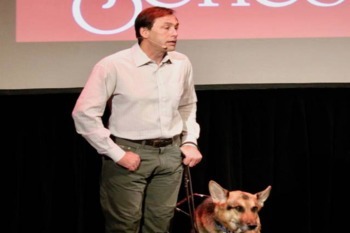 Erik Weihenmayer was born on Sept. 23, 1968, with a rare eye disease, retinoschisis; his vision worsened through childhood, and he went completely blind in his early teens. Despite living with vision loss, Weihenmayer was introduced to rock climbing and, as he says, was reborn. Since that time, he has climbed or attempted some of the most technical peaks in the world. If you are losing your vision, SDCB can assist you in maintaining your independence. Please contact us to learn more about our programs.